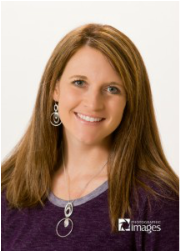 Lindsey was born and raised in North Platte Nebraska. Upon graduation from high school she continued her education at Mid Plains Community College where she graduated with a certification from the dental assisting program in 2000. Lindsey joined the WhiteHouse team in 2001 and has enjoyed getting to know all the wonderful patients on both a professional and personal level. Her specialty is working with insurance companies to get the maximum benefit for patients. Lindsey and her husband Michael have 2 young children together; Braxton and Adaleigh. In her spare time she likes to scrapbook, read, and attending her children's sporting events. Lindsey also spends a lot of her time enjoying the outdoors fishing and hunting with family and friends.